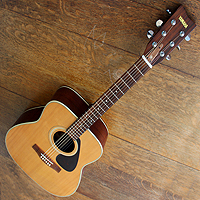 This guitar is an FG335 built between 1977 - 81 and according to the Yamaha website these were the years when they were being produced. 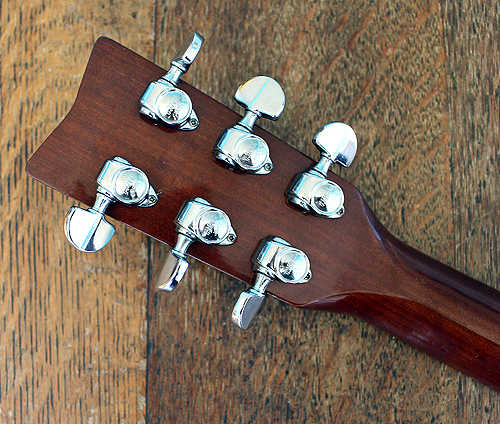 These guitars are pretty strong and resilient to temperature change and were built to last. 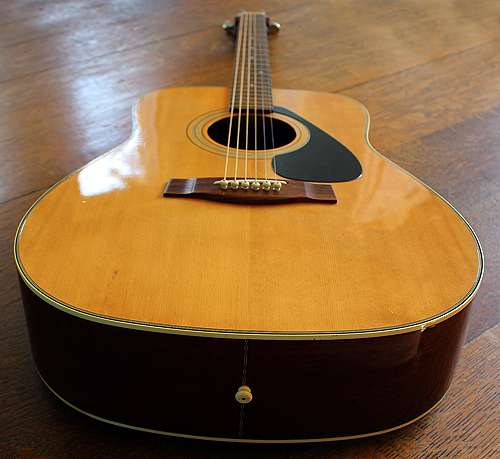 The overall condition is good, everything works properly and the guitar has recently been set up. Original parts throughout, the neck is straight and still has the original Yamaha Japan stamped tuning heads on it. 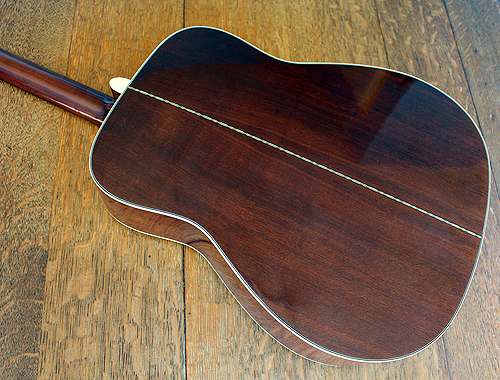 Current strings are martin bronze 10 - 47 gauge with the action set at about 3mm from the 12th fret. This guitar is at least 36 years old and is obviously not in mint condition. Some dings and scratches are on it so I have tried to photograph it in some detail. 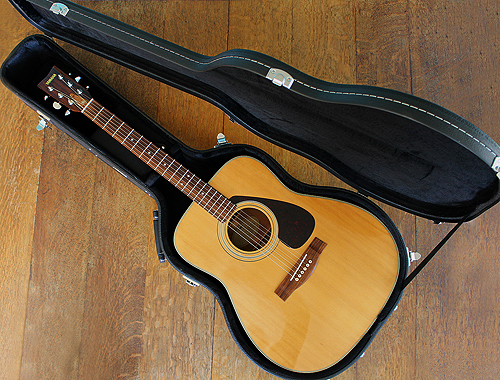 The hard case is new and was bought for this guitar. The guitar plays well especially in dropped tuningit seems to ring well when in open tunings. The better built Yamahas have a distinctive sound that is sweet and loud and sounds good either in live performance or recording. Clear for fingerpicking styles but with that boom when you need it.